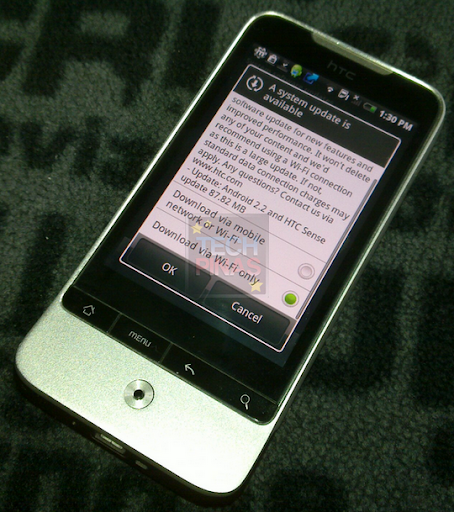 HTC Legend Froyo Update - Android 2.2 OTA : Out in the Philippines! Great news for all HTC Legend owners in the Philippines! Android 2.2 Froyo Over-the-Air (OTA) update for our smartphone is officially here! I got the notification around 1:30 PM yesterday and installed the update an hour later. To get Froyo update OTA for HTC Legend go to Settings, scroll down and click on About the Phone, Check for Updates, once you see the System Update notification, click OK, wait for download to end, and restart your phone. After restarting your phone, go back to Settings, click on About the Phone, you will be asked if you want to install the update, click OK then wait for the phone to restart. 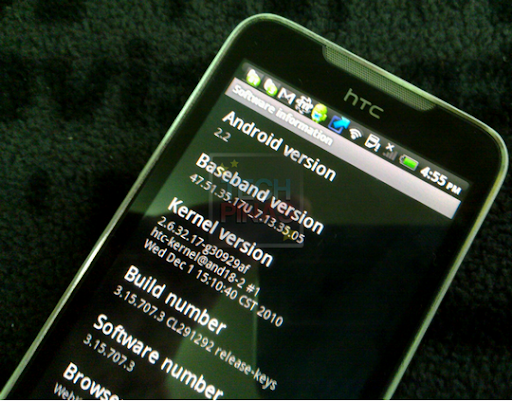 NOTE: Froyo Update for HTC Legend also comes with HTC Sense update. I'll play with Froyo on my HTC Legend for a bit then I'll post a quick review on this Android OS update. I hope you stick around for it. Merry Christmas, fellow HTC Legend owners! Thank you, HTC! Now... am deciding whether to take a shot at modding it or if it would be better to just wait.